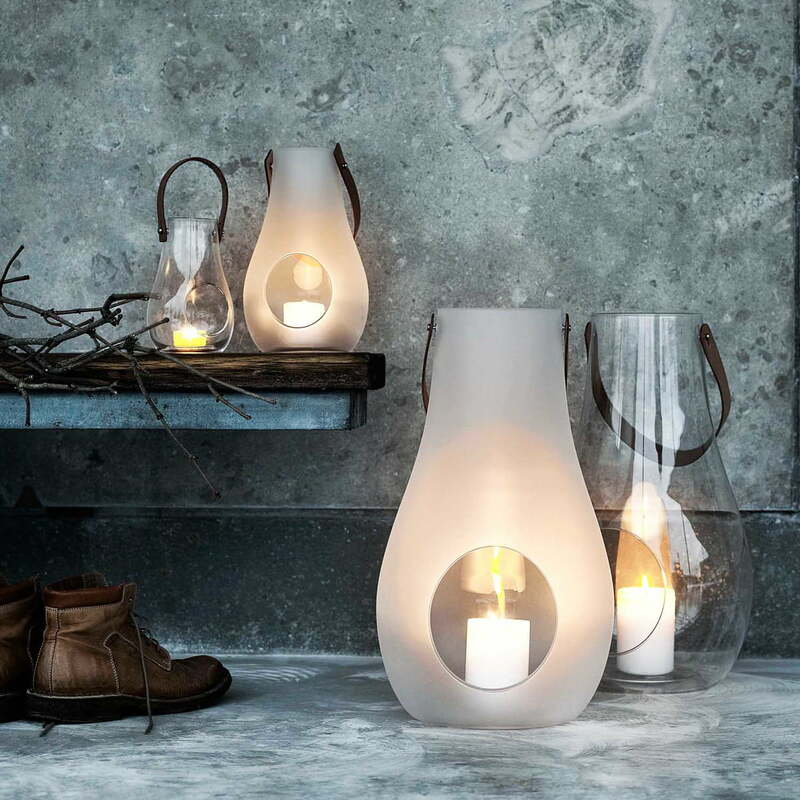 Design with light by Maria Bernsten – designed for life under the open sky! With the first warm spring evenings, there is a shift in our daily routine: the time spent in our home soon becomes time spent outdoors. 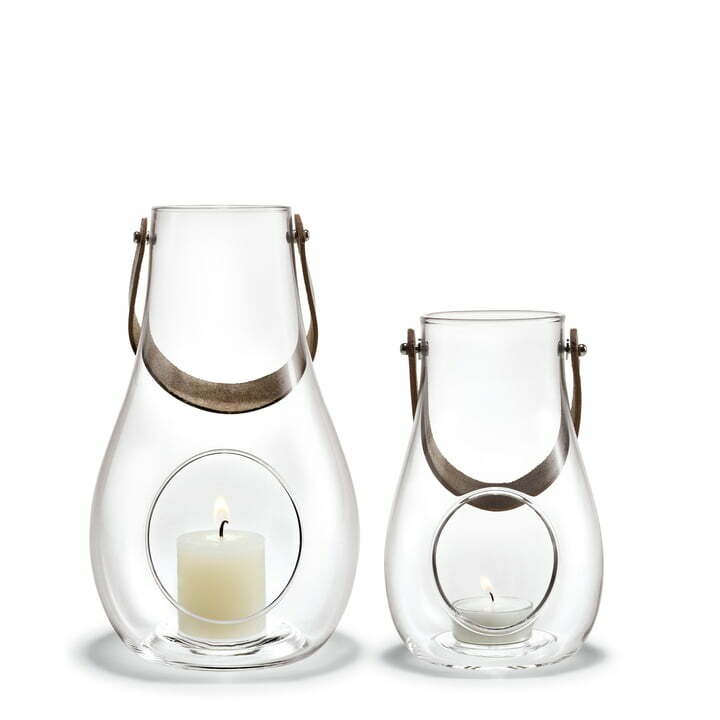 Candles and torches thus provide us with light that create a comfortable and relaxing atmosphere. 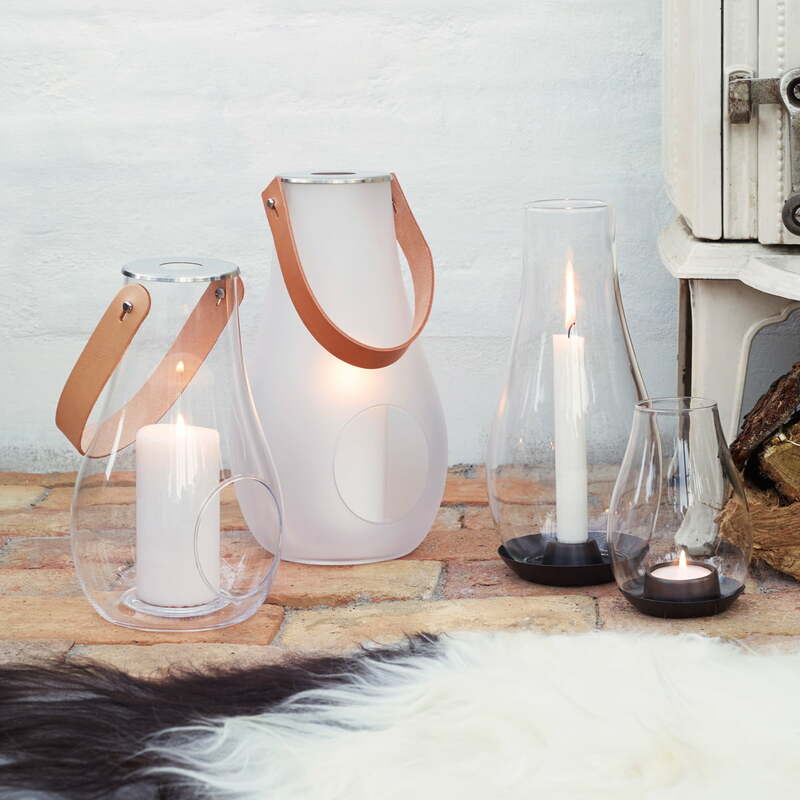 With the Design with light glass lantern, Holmegaard pays homage to life under the open sky. 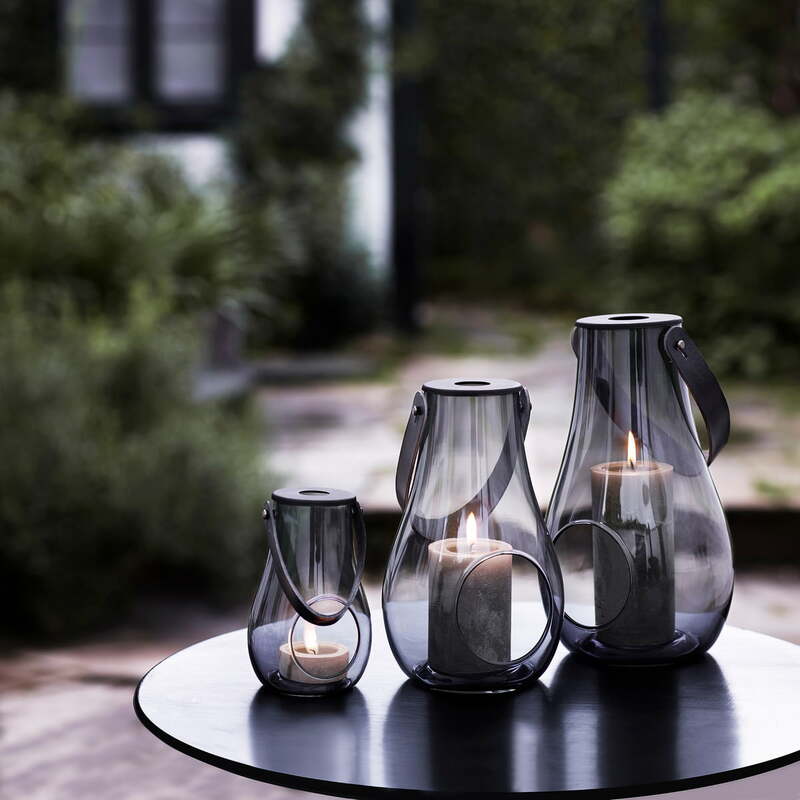 The lanterns, designed by Maria Bernsten, no longer have the organic shapes and refined materials from the classic outdoor lamp. For "Design with light" Maria Bernsten was inspired by bottles. She wanted to capture their well-known shape as well as the idea of small and large bottles assembled in a group. 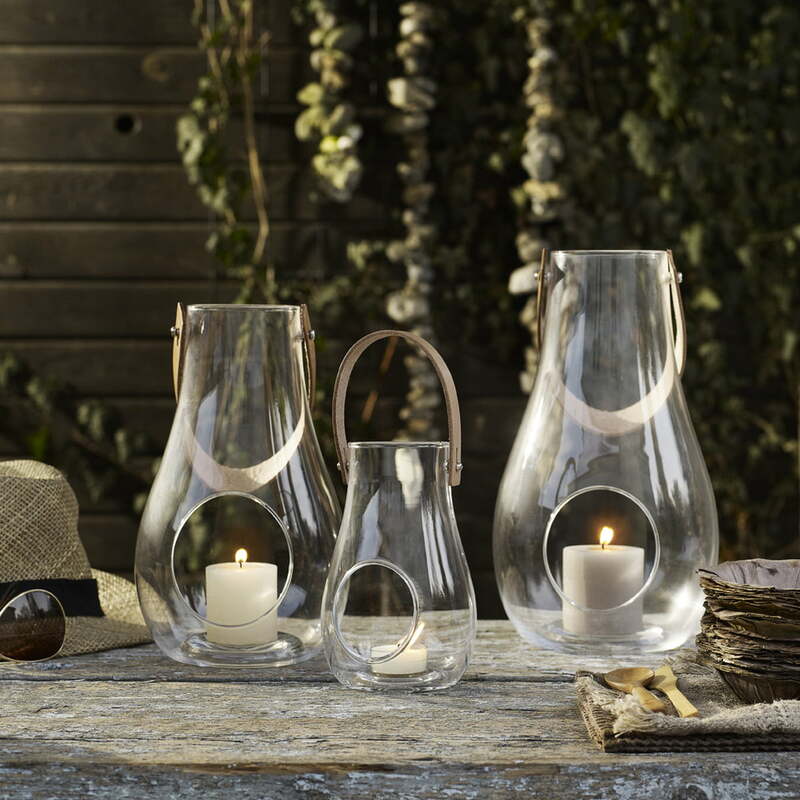 Therefore, the Design with light lanterns come in different sizes that are carefully tailored to harmonise with each other and can be perfectly arranged on the floor, on the terrace or on the garden table. The lanterns are made out of transparent glass. Tea lights or block candles can be placed inside through the drop-shaped middle part. 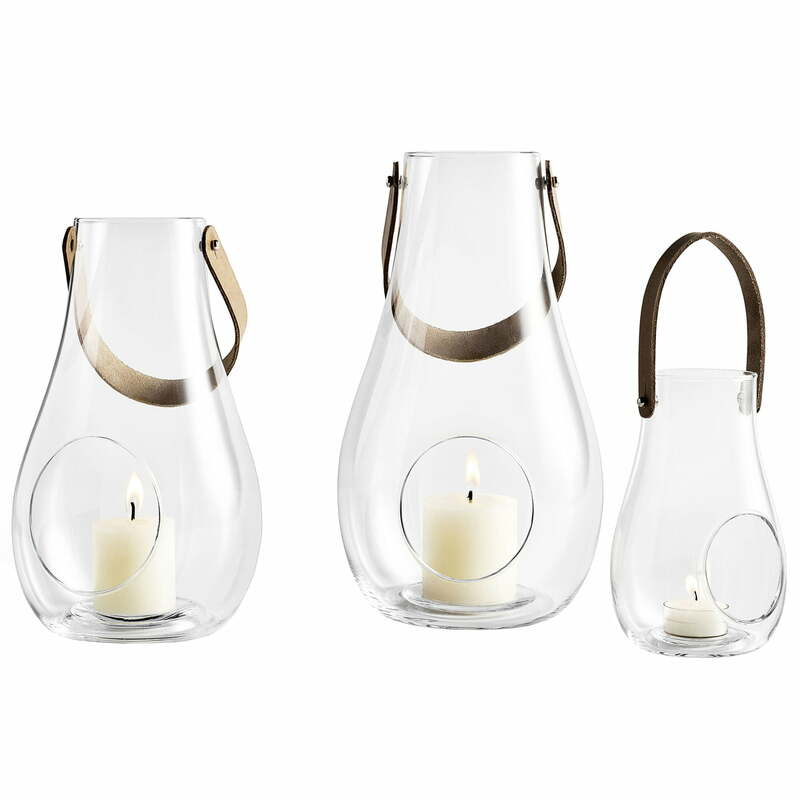 Each Design with light lantern features a strap out or natural leather that enables you to carry you lantern wherever light is needed. I always light it while the dark night comes. It increased the life quality and formed my life style. Beautifully profiled glass with nice leather straps. Works well to keep wind from blowing out the candles. 410 of 755 customers have found this review helpful. 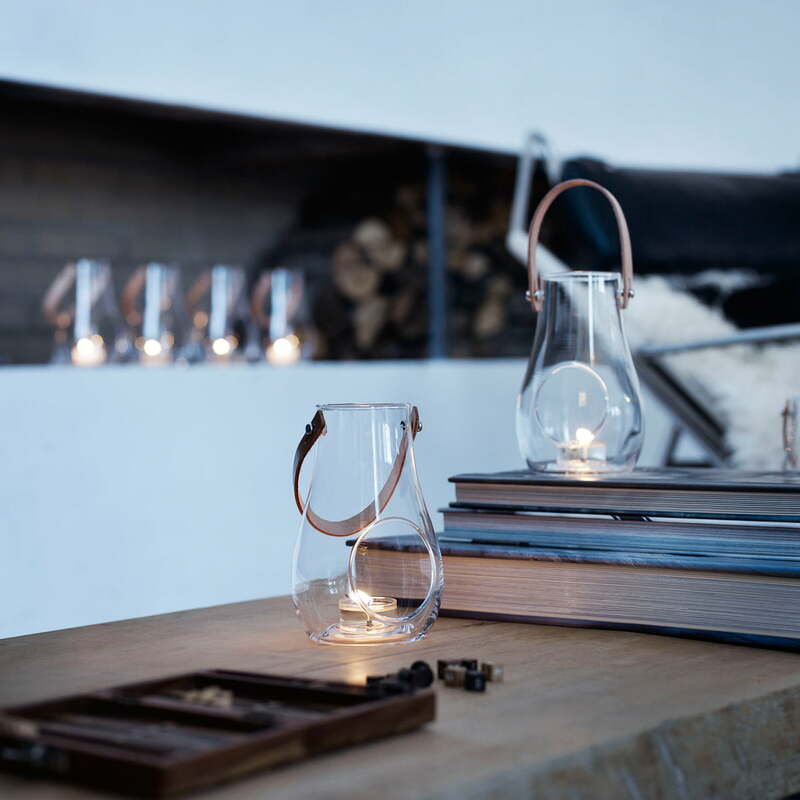 Lifestyle product image: The design with Light lantern by Holmegaard is available in various sizes which can be beautifully arranged on the floor, patio or in the garden.